The story of the platypus is lyrical, highly descriptive and articulate. It conveys a knowledge of and love for these animals, with a level of passion so deep you can almost hear the author speak. In the main it is a story of a single male – exploring his environment, hunting for food, grooming and keeping himself safe from predators. It appears to follow his movements across the span of a day; beginning as he emerges from his burrow and concluding as he eventually succumbs to the need for sleep. Whiting’s language is beautifully crafted, almost poetic in places, and makes great use of similes and metaphors to enhance the reader’s understanding of both the animal and his environment. Detailed descriptions give the platypus a sense of character, although the mannerisms described are typical of the species. It is, at once, both a story and an exposition. Providing similarly detailed description are Mark Jackson’s divine illustrations. The use of mixed media and his rough, sketchy style suit the rugged nature of the environment he portrays. Jackson captures not only the colours of Australian gums and bush, the swirling flow of water and the bustling movement of the platypus, but also the dappled light of the undergrowth and the murky shadows underwater. It is with mixed feelings that it must be noted, that this book also contains passages of factual information, separate to but still part of, the main body of the piece. Distinguished by a change in font, these short paragraphs provide facts that corroborate the essence of the story page by page. Whilst obviously intended to be a source of added information, it is this reviewer’s personal opinion that these inclusions undermine the flow of an otherwise beautiful book. Perhaps alternate placement on the page (as a footer or down the outside edge of the page) or as a larger fact index may have allowed the ‘story’ to hold focus. It could easily (and justifiably) be argued that a parent or teacher has the choice to read either the story or the facts at each sitting as the illustrations perfectly accompany either, however the concentration required to differentiate between the 2 types of paragraph and the choice to read or not read each one, definitely impacts the flow. As much as the impeccable use of language, the characterisation of the platypus and lovely illustrations would draw me to this book time and time again, the cross-formatting of story to fact would continue to frustrate the traditionalist in me. This ‘Nature Storybook’ would add substance to any discussion on descriptive language, similes and metaphors, or how mannerisms and movement patterns define physical character (as well of course to the study of these fascinating animals), not to mention being a beautiful example of contemporary expressionism. 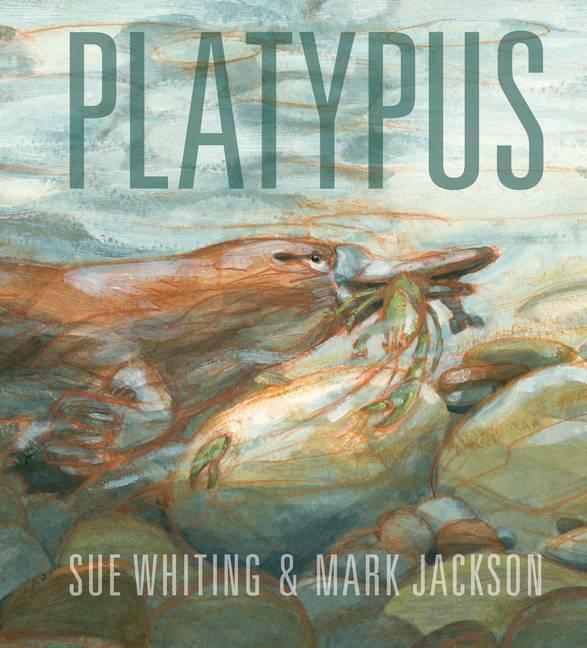 Platypus is essentially an older children’s informative picture book – perfect for mid/upper primary independent readers and as a teaching tool for junior grades. It is a must include in Australian school libraries. Classroom Ideas can be found on the Walker Books website.